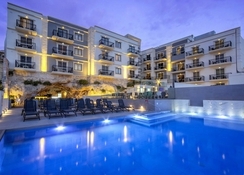 The Pergola Hotel & Spa, built on a valley overlooking the bay, the Gozo and Comino islands, and the picturesque Mellieha village, is an all-inclusive family-friendly luxurious resort. Barely 200m from Mellieha, and its numerous shops, bars and restaurants, the hotel promises guests a comfortable stay amidst modern amenities and warm Maltese hospitality. 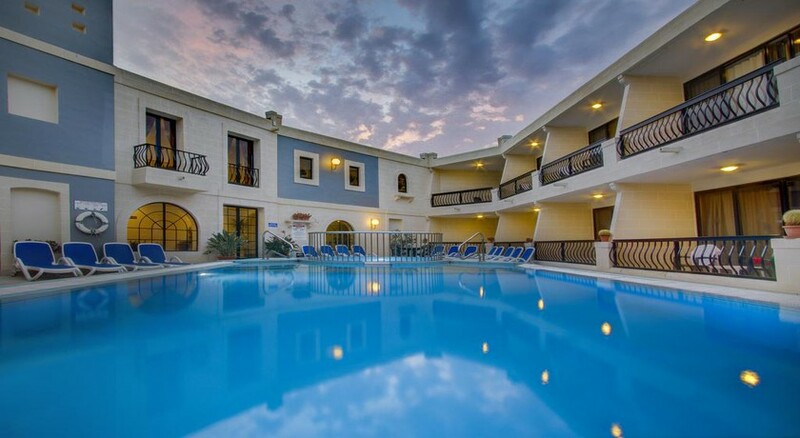 Featuring an indoor and outdoor pool, a children's play area, a games room and a clutch of restaurants and bars, this hotel is a great accommodation choice near the quaint village of Mellieha, just 2.2km from the beach. Well-appointed guestrooms and self-catering apartments, with balconies providing magnificent views look forward to welcoming guests with plush furnishings, air-conditioning, safe and free Wi-Fi. The Pergola Hotel & Spa is nestled in a peaceful part of Mellieha in Malta. The hotel offers exceptional views of the bay, the Gozo and Comino islands, and the village. 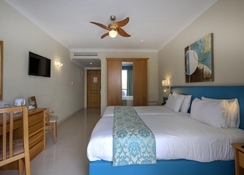 Barely 200m from downtown Mellieha, the hotel enjoys vicinity to numerous shops, bars and restaurants. The Ghadira Bay is only 2.2km from the property. The distance to National Wild Reserve is 2.3km. The nearest airfield is Malta International Airport, at 23.1km. The Pergola Hotel & Spa offers 91 elegantly designed and comfortable guestrooms to suit the taste and space requirements of the modern traveller. 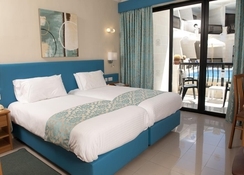 The rooms come in categories of internal, standard, deluxe one-bedroom, deluxe two-bedroom, deluxe studio apartment and executive apartments with sea views. The rooms have air-conditioning, satellite TV, room safe (against a charge), en-suite bathroom, a radio alarm clock, tea & coffee makers. Larger rooms add a balcony and extra amenities. The Pergola Hotel & Spa has two delightful restaurant serving delicious cuisine. Bonaventura Restaurant serves European dishes in buffet style in a lovely ambience while the Da Ciccio Cucina serves a la carte Italian for dinner. There are two lovely bars where guests can relax and unwind while sipping on a cocktail. Room service is available. The Pergola Hotel & Spa has four swimming pools and kids’ pool and terrace where guests can soak up the sun. There is a fully equipped gym for those who wish to stay active. There is a lovely spa with steam room offering massages and therapies. 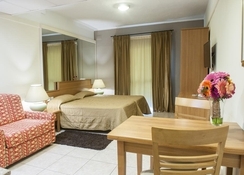 The hotel has facilities for bike rentals and hiking, canoeing, horse-riding at extra charges. The hotel’s on-site water sports centre offers diving, windsurfing and sailing. Guests can also shop at the gift shop on-site. There is lively evening entertainment too.